El Planeta is a free-of-charge weekly newspaper in Spanish circulating over Greater Boston and throughout all of New England. El Planeta's mission is to be a reference point for the Latinos of New England in the deliverance of a high quality newspaper with concise, straightforward and professional presentation; while at the same time providing a vehicle to help advertisers accomplish their objectives in reaching the increasingly important market. The District Weekly is Long Beach's urban manual. Like the beach communities of Greater Long Beach, the District Weekly is smart, quirky and always independent. Offering the most extensive events calendar in the region, as well as wide-ranging coverage of local politics and culture, the District Weekly has emerged as an indispensable guide to life in Long Beach. Creative Loafing Atlanta started as a simple entertainment guide for Atlanta in 1972 and has become the flagship brand of a multimedia company that is fast becoming the industry leader in reaching and engaging the urban adult population. Charlotte Creative Loafing is a free weekly publication, distributed on Wednesdays. Charlotte Creative Loafing serves the entire Charlotte metropolitan area. The Loaf runs from approximately 72 to 108 tabloid-size pages per week. It is available for reader pick-up at racks and other convenient locations in and around the Charlotte metropolitan area. Fastline Farm & Ranch is an illustrated buying guide for the farming industry. There are 22 Fastline Farm & Ranch editions circulated in 48 states. The publications contain ads from farm equipment dealers, as well as from businesses related to this industry. The publications contain no editorial. Businesses that continue to advertise, regardless of economic times, have a significant advantage over businesses that trim their ad budgets. Companies can achieve success by looking for opportunities that tough times inevitably bring. Historically, companies that take aggressive action during economic downturns do well. A 2001 AAAA study, "Advertising in a Recession," found that companies with even a modest increase in marketing and advertising spending during a recession saw gains in market share. Advertising during downturns makes consumers feel more positive about your business and fosters a sense of confidence and stability during chaotic times. In a recent Reuters/Zogby poll, nearly half of Americans expect a recession in the next year. When customers aren't besieged by ad messages, your advertising is more likely to get through. It can increase consumer awareness (share of mind) and brand recognition when there are less distractions. Consumers don't disappear during tough economic times. However, they grow more conservative, spend more time searching for deals and look for safer bets. Advertising gives you an opportunity to reach them and persuade them with cost-savings. As Kevin Roberts of Saatchi & Saatchi writing for Advertising Age said, "Consumers don't stop buying when economies go through down cycles. They look harder for value." 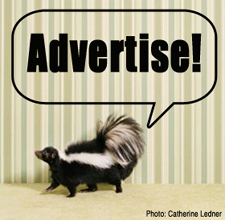 Advertising during an economic downturn allows you to adjust your position to respond to the new economic realities. If possible, focus ads on family values, such as conservatism and comfort food, that speak more persuasively to consumers during tough times. Advertising can help build market share. While your competitors are hunkering down until things blow over, it's a great time to invest in your business. It enables you to solidify your customer base, take business away from your less aggressive competitors, build loyalty and position yourself for growth once the economy changes. During the 1920s, Kellogg's and Post cereal companies were fierce competitors for market share. During the Great Depression, the Kellogg's Company directors decided to cut advertising, premiums and other expenses to save money. When president W.K. Kellogg strongly objected, the board voted again and increased their advertising budget by $1 million. When the Depression ended, Kellogg's emerged as the leading player. Advertising is a cumulative process. The moment it stops it begins to lose power. Cutting back during a downturn is like throwing away your investment. Maintenance now costs much less than rebuilding tomorrow. In good times, you should advertise. In bad times, you must advertise. Chris Anderson, Editor in Chief of Wired magazine and writer of the Wired article "Free! Why $0.00 Is the Future of Business," said, "From the consumer's perspective...there is a huge difference between cheap and free. Give a product away and it can go viral. Charge a single cent for it and you're already in an entirely different business." Good magazine has embraced the free distribution model wholeheartedly. The $20 a year they collect for a subscription actually is donated to one of its nonprofit partners instead of going into the magazine's coffers. Good's Editor in Chief, Zach Frechette, said once you take into account the costs associated with direct mail and other marketing campaigns, circulation doesn't deliver that much revenue. Besides having the advantage of having a deep-pocketed backer, Ben Goldhirsh, Director of the Goldhirsh Foundation and founder of Reason Pictures, Good also has been able to attract advertising, averaging 32 pages per issue. High-profile advertisers include Whole Foods Market, Ralph Lauren, and Mini cars. Today, consumers have lost the habit of paying for information. You can find information on almost every subject for free with the click of a mouse. Free daily newspapers, as well as alternative papers and niche publications, are available in almost every major metro market. Free parenting magazines reach their readers in the places they frequent—preschools, pediatrician offices, family-friendly restaurants. They distribute their products in highly targeted areas and reach coveted thirtysomething moms effectively, moms who may or may not visit a Barnes & Noble magazine rack. B2B publications have used the free model successfully for a long time. As long as a magazine can produce the target audience an advertiser wants, there is little hesitation on the advertiser's part on where to best to spend their ad dollars. Publications with just a few thousand subscribers can charge big bucks for space as long as they can prove they have the right kind of readers. In an article for Editor & Publisher Stop the Press, Steve Outing, newspaper advisor and new media expert, admitted that he stopped getting the print edition of his local paper this month. He said one of the reasons was that everything that was in the paper, and more, was available online for free. In a recent survey of 704 senior editors done for the World Editors Forum and Reuters, 56% believed news will be free in the future, up from 48% last year. The free distribution model could work for paid consumer newspapers and magazines, but maybe with a page from the B2B playbook. Qualified, requested circulation may be a better lure for advertising than paid circulation in the future. Advertisers want the right readers—the ones who will most likely buy their goods and services—not just a lot of readers. Verified recently received some very good news from the U.S. Patent and Trademark office in Washington. On April 1, 2008, Verified Audit Circulation was granted registration status for the name VERIFIED in connection with "Auditing services, namely, auditing the circulation figures of newspapers, magazines and other publications; Market research in connection with auditing circulation figures of newspapers, magazines and other publications; Monitoring and auditing services, namely, monitoring, analyzing and auditing traffic to and from web sites; and Consumer and market research." The significance of this for Verified is the recognition of consistent, ongoing use of our company's brand and that our logo is now protected by law from unauthorized use. For our clients, use of the Verified brand and logo has more value and meaning than ever, as is it licensed exclusively to clients in good standing, giving advertisers confidence in their buying decisions. Any business with an established unique brand and/or logo should seriously consider applying for registration with the Patent and Trademark office. Protecting your logo and brand after registration is vitally important and relatively easy and inexpensive to do. Applying for a trademark can be done without an attorney; however, legal assistance might be a good idea so you get it right with the first application. Forms can be downloaded from the Internet at www.uspto.gov/web/forms. After filing, you may hear from the USPTO requesting more information or clarification. It can take several months for a registration to go through, and your application may be denied in the initial filing. If your application is denied, the reasons will be stated. You should appeal the decision if you feel justified, providing further evidence to your claim and addressing specific reasons stated in the denial. Protecting your logo and brand after registration is vitally important and relatively simple. You need to "give notice" that the mark is registered by applying a brief statement of the mark's registered status or use the more common circled "R." If you elect to give notice by the "R," you should make certain that there are no additional words placed between the mark and the symbol. This would apply to all appearances of the mark, including its use on labels and in advertising. To maintain the registration of your mark, you must file an affidavit with the Patent and Trademark Office at some date after the fifth anniversary of the date of the initial registration, but before the sixth anniversary. The affidavit must show you are still using the mark as registered. After that, you renew the registration every ten years. 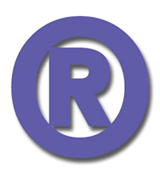 In addition to affidavits and renewals, to protect your trademark rights the mark must be policed in the marketplace. There are many ways to do this, including regular monitoring of trade publications and directories. When the mark is used by others, you should license its use, as Verified has done with publishing clients. The license should state the conditions of use and basic trademark use regulations. At Verified, we are diligent about the use of our trademarks and occasionally find ourselves in the position of demanding that someone discontinue the use of our mark. These steps are an important part of trademark protection along with assuring it is used consistently and properly, both inside the company and in the marketplace. Some of these steps may seem trivial, but they are well worth the trouble in protecting what can be an important asset to your business and a useful tool for your marketing and business development. An email with the new registered Trademark will be sent to you shortly. If you don't receive it, please call your account coordinator at 415-461-6006. 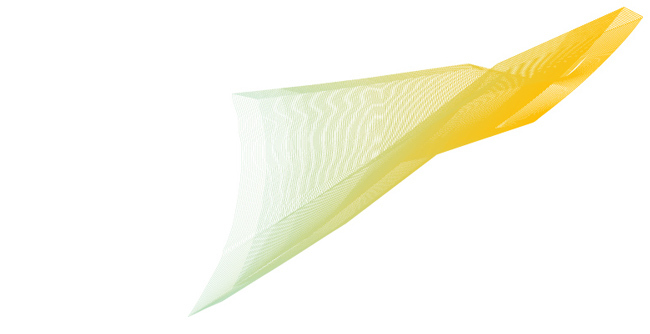 Please use the new logo exclusively in your publication, media kit and other promotional materials. Alan Levy, VP of Marketing & Sales, and Vanessa Espinoza, Sr. Sales Executive, will be attending this event. If you would like to meet with Alan, please call 415-461-6006 (ext. 213) or email him at alevy@verifiedaudit.com. Alan Levy, VP of Marketing & Sales will be attending this event. If you would like to meet with Alan, please call 415-461-6006, ext. 213, or email him at alevy@verifiedaudit.com. Jennifer Armor, Audit Manager, will be presenting on June 25th at 9:30 a.m. at the Trendwatch Track. Verified would like to invite you as our guest to receive a FREE admission to the Innovation Area during the conference or save $250 off a Main Conference & Workshop pass. Please contact Verified for more information. In a recent ICOM survey of U.S. shoppers selected from a 40,000 household database, 67% said they are much more likely or somewhat more likely to use coupons during a recession. The breakdown was 45% percent much more likely and 22% percent somewhat more likely. Over the past ten years, the average coupon redemption rate has declined to less than 1.0 percent from a level of 1.6 percent across all U.S. coupons distributed, says the report. Broken down by age, 71% of consumers in the 18–34 year-old age bracket said they are much more likely or somewhat more likely to use coupons in a recession. That compares to 68% in the 35–54 year-old bracket, and 63% among those 55 years and above. Income didn't make a significant difference to respondents, with 68% of those earning less than $50,000 a year saying they are much more likely or somewhat more likely to use coupons in a recession, compared to 67% for those earning more than $50,000. 58% of consumers responding to the ICOM survey see their coupon use increasing if they could download a coupon from the Internet and have it automatically connected to an electronically swiped frequent shopper card. Of that 58%, 35% said they are much more likely to use such a card and 23% said are somewhat more likely. 77% of consumers in the 18�34 age group said they are much more likely or somewhat more likely to use coupons if given access to this paperless technology. In the 35�54 age group, 63% said they are much more likely or somewhat more likely. In the 55 and over bracket, 47% said they are much more likely or somewhat more likely. "Put in perspective, online coupons of all kinds represent less than 1% of the overall coupon market," said Peter Meyers, ICOM Marketing Vice-President. "Households of two adults and two children who use coupons wisely can save 25% on their grocery bill annually, without cutting purchases. That saves $2,400 a year based on a typical $800 a month grocery spend, which outstrips the $1,800 economic stimulus check this family has coming." In a recent survey, we at Verified asked our clients how they promoted their audit. We'd like to thank everyone who took the time to participate in the survey. It provided valuable input and offered some useful ideas. 61% of you said if Verified provided additional marketing materials such as house ads, seminars and PowerPoint presentations, you would use them. "House ads would be great, especially promoting newspaper readership." "Some sort of seal of approval to demonstrate accuracy...a rating placard that we can use not only in our publication as a banner but also at shows, etc." "...letter on VAC letterhead (or through email blast) that publications can send to their advertisers following a new audit stating audit benefits to advertisers." "Seminars on improving circulation would be great!" "Provide a webinar that will train sales staff on how to read it [audit report], how to analyze it, how to use it to answer sales objections." "Do more with retailers to demonstrate the value of audited newspapers." 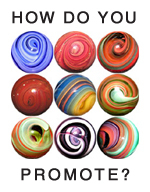 "I think that additional marketing materials...could assist in promoting our audit. I've utilized information from Verified's newsletter suggesting ways in which the audit can be maximized and be more useful for the advertising department. Online PowerPoint presentation, which could be accessed by advertisers could be valuable too." Verified wants to help maximize the value of your audit. Watch for new promotional materials, training and support shortly. If you have questions or would custom, call Verified at 415-461-6006.